DEAR JERRY: My late father lived for many years in Lyon, France. When he came to the U.S., in the 1960s, he also brought his beloved classical record collection. Now I have those records, but cannot find values anywhere for classical albums, much less ones from France. In hopes you spot something significant, I'm sending a list. Some appear to have never been played. Can't wait to hear your thoughts. DEAR RAYMOND: It should brighten your day to learn that any pre-1970s classical albums in the condition you describe would likely be worth many times their original cost. Prices realized at auction could run from $50 to over $10,000, depending on the specific condition of each, and other variables not stated on your list. Having gotten your attention with that five-figure amount, let's talk about what seems to be the crown jewel of dad's collection. 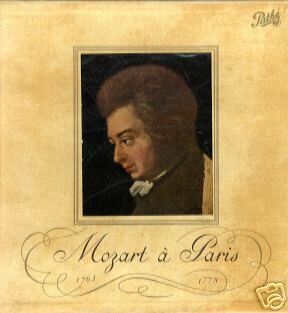 If your boxed set titled "Mozart a' Paris (1973-1778)" is near-mint and complete, including all seven "Pathe Longue Dure Microsillons" (Pathe Long Playing Albums), numbered DTX-191 through DTX-197, it should fetch at least $10,000, with $15,000 being a high-end expectation. Issued in 1956, this lavish collection was only available via a mail-order on a subscription basis. It was never sold in stores. Estimates indicate perhaps as few as 1,000 were made, approximately 50 of which were given to recording company executives and each person involved in the recording and production process. "Mozart a' Paris" ("Mozart in Paris") is by the Orchestre de Chambre (chamber orchestra) under the direction of Fernand Oubradous. Mozart's music is mostly performed here as violin concertos for flute and harp, sonatas for violin, harpsichord or piano, and by a string quartet. What you have in that box is essentially an all-star assemblage of some of the most famous European soloists at the time, most on loan from the Conservatory of Paris. Renowned participants include: Benedetti; Brun; Cellier; Charny; Ciampi; Darre; Del Vescovo; Descaves; Doyen; Dumont; Francois; Giraudeau; Hongne; Lancelot; Laskine; Lazare-Levy; Michel; Quatuor; Pascal; Perlemuter; Pierlot; Roux; Simon; Van Barentzen; and Veyron-Lacroix. DEAR JERRY: In a box of oldies I bought at a flea market in Schenectady I found a great record called "Kiss and Run" (Soft 826), by Bobby Skel. Until now, I had never heard of the song or the singer. This one sounds like some of the records made by Gene Pitney and Roy Orbison in the 1960s. When did it come out? How did it not become a hit? DEAR BEV: Yes, Skel's record seemed to have everything it takes to be a smash, except perhaps an established label behind it. I am surprised that one of the majors didn't pick it up from Soft for national distribution. Regardless, it was not a complete flop. "Kiss and Run" did achieve regional hit status here and there, including in the nation's No. 1 market, New York City. In mid-November 1964, it jumped in at No. 40 on WMCA Radio's "Fabulous 57." It is even accompanied by a symbol indicating a hit record that WMCA proudly claims to have been the first station in New York to play. Since you mention Gene Pitney and Roy Orbison, you may find it interesting to know both are on that same chart: No. 30 is "I'm Gonna Be Strong" (Pitney), and No. 17 "Pretty Woman" (Orbison). IZ ZAT SO? 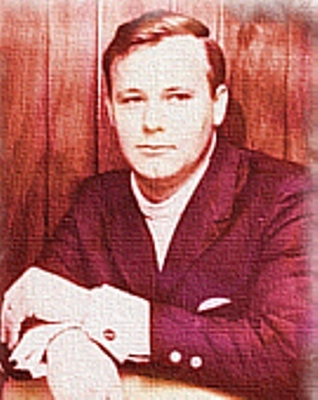 "Kiss and Run" is not the only Bobby Skel record that did well in one or more markets, yet never appeared on the national Top 100. Two other terrific tunes from the '60s, both worthy of chart slots on Billboard and Cash Box, are "Sheila Ann" (1968) and "Red Light Green Light" (1969). Incidentally, on a couple of his earliest singles, "Goin' Back to School" (Fairlane 21008) and "Just Two People in the World" (King 5897), the credit reads Bobby Skelton, his full name.